1 – What challenges can I forsee on the horizon? Anticipated Roadblock 1: The client is particularly difficult, has paid late in the past and is likely to do so again. Potential Solution 1: Offer incentives or rewards for early payment. Check out these ideas to get paid faster. Anticipated Roadblock 2: Your team is dispersed around the world and this may result in miscommunication or missed deadlines. Potential Solution 2: Implement online tools for communication such as Slack or Google Hangouts. 2 – Am I imagining obstacles that aren’t really there? Sometimes roadblocks can be self-inflicted, stemming from self-doubt and fear. Let’s not blow an issue out of proportion and term it a ‘roadblock’ too quickly! 3 – Am I starting every project the best possible way? One of the easiest ways to mitigate potential roadblocks is to ensure you set yourself up for success. Conduct a rigorous onboarding process. This is as important for your team as for the client and will help everyone get on the same page. Get more tips on onboarding here! Assign responsibility and leadership to staff. This will ensure they’re much more invested in the project’s outcome and roadblock-free process. Have an open door policy. Just by being more ‘approachable’ you’ll make a huge difference to team morale. Encourage regular updates and reviews. Catch-up with your team frequently and make sure they know you have their trust. Provide updates on progress. For example, if there is a current issue, make sure the response and management of it is visible to everyone. Use digital communication platforms. We’ve outlined some of our favourite communication platforms here. 5 – Is my team keeping up with new technology? Don’t let outdated methods of communication stall your progress! Using a robust online project management software like WorkflowMax will give you visibility over your project from end to end. It can also help minimize potential issues. Check out The Ultimate List Of Apps For Working Remotely for more ideas on great communication tools you can put in place if you find your current systems lacking. 6 – Do I trust my gut? You’re a highly trained professional with skills honed by years of experience. Your instinct counts for something. Even if your project gets temporarily derailed by an issue, you need to trust your vision of the project and weather through the hard patch. In fact, roadblocks can often lead to unexpected and creative solutions. It might be a great opportunity to take a step back and try a new approach. 7 – What learnings can I apply for the future? Analyze and ask the hard questions. Was the roadblock a one-off or have similar problems been cropping up across the board? Was it an internal issue (and therefore controllable) or extraneous (and likely to be uncontrollable)? Knowing where the trouble is coming from means you’re one step closer to knowing what you can improve for next time. Get critical feedback from your team. Were you able to manage the roadblock effectively? Discuss the outcome with your team and get suggestions on what you could have done better. Also, tools like Typeform and Google Forms are handy if you want the feedback to be anonymous. So there you have it – seven critical questions you need to ask yourself to help overcome roadblocks in your project workflow. Don’t forget to sign up to a #XeroHour event near you to find out more! 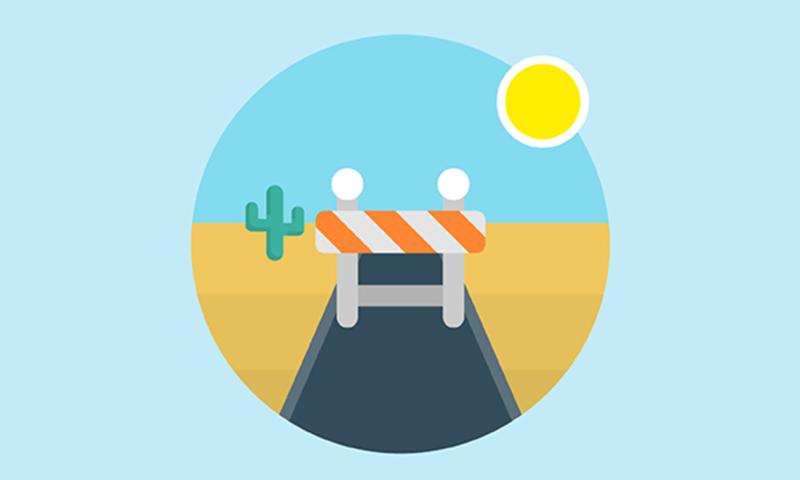 The post How To Overcome Roadblocks In Your Project Workflow appeared first on Xero Blog.